Hanoi Flower Shop is the leading online flower shop in Hanoi, Vietnam, which is specialized in flowers for occasions such as birthday, love celebration, opening event or condolence offering, etc... We keep our nonstopping improvement of service and product quality to meet the increasingly high demand of customers. 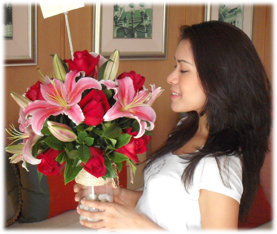 At Hanoi Flower Shop, we understand that each flower is a message that the sender wishes to convey to the recipient. Bouquets of flowers, flower baskets or gift baskets bring special messages to the recipient under any circumstances and become more meaningful to them on birthdays, anniversaries or whenever you want to express your feelings to others. Known as a famous fresh flower shop in Hanoi, Hanoi Flower is very happy to help you select the most beautiful flowers for your beloved ones. 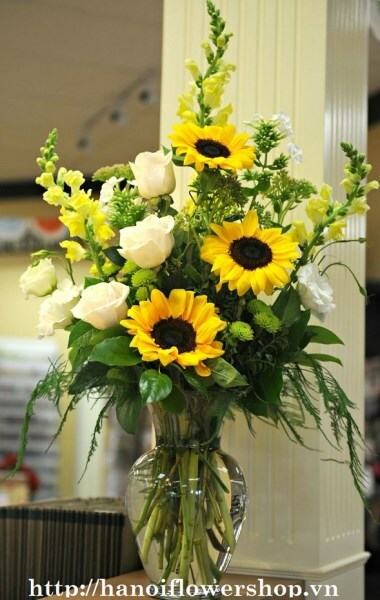 You can easily select flowers on our website as they are categorized following your wish or price. We keep our best efforts to create the most beautiful flower products and services to meet requirements of our customers with highest quality. As a highly reputable online flower company in Hanoi, we also provide our service to deliver flowers to your home. Wherever you are, just place your order on our website, your love message or emotions will get through time and space to come to persons you want to send to. Whenever words or languages are not enough to convey your feelings or emotions such as gratitude, respect, love, sharing, etc., then flower is always the best solution.